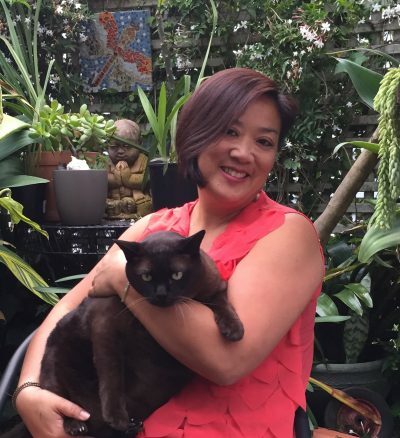 Author and communications professional Sue Liu self-published her travel memoir in 2015. She has since released two new editions of her book, and has run self-publishing workshops through the State Library of New South Wales. Describe your latest self-published book in under 50 words. My first book is my epic travel memoir, Accidental Aid Worker. After a series of life-changing tragedies, a running-away habit turned into an addiction to adventure travel. In the wake of the 2004 tsunami during the civil war conflict in Sri Lanka, I stumbled into voluntary aid work and it was the beginning of a 10-year obsession with helping people in need and a quest to find love and places to belong. I realised early on that self-publishing was probably the only option available to me. The dream-like vision I had for my book was crystal and pure—just like my knowledge of publishing and the world of books. I quickly came to terms with the reality that it would be hard work convincing a publisher to take a punt on me and my story. I was an untested writer, an unknown personality who, despite having boundless enthusiasm, had an unwritten story and a dippy time-frame. I had a degree of confidence that my story was a ‘ripping yarn’ and that I had some ability to tell it well. As a communications professional and business woman, I knew I had the skills to deliver the physical aspects of publication and aspects of marketing. The rest, I would have to learn along the way. March 2013, the idea for the book literally spewed forth as an embarrassing, very public announcement. After a few misadventures followed by insecurity, self-doubt and writers block—for 12 months—I had to ‘renew my vows’ to the project. In June 2014 I set myself a rigid 12-month deadline and to keep myself accountable, I again (foolishly) announced that my book would be available for Christmas 2015. Terrified of the humiliation of not achieving that commitment, I slave-drove myself through it all, and on 1 November 2015, Accidental Aid Worker was delivered to the world. I live in Annandale in Sydney. As a business and communications professional, I understand the value of contracting other professionals. I was happy to pay for the best professional advice and service I could afford to achieve the quality of the book product. I worked with an editorial consultant, editor, graphic designer and printer. I also contracted a publicist when I launched. The designer and publicist were not connected to the publishing world. Everything else, I did myself, including formatting and production of the book files (on Pressbooks), marketing, social media, fundraising, business development, administration and sales campaigns. Publishing is its own beast, so I invested a lot of time into learning about a whole new industry and its set of requirements and expectations as best as I could. I relied very much on referrals from industry professionals to find my editorial help and a printer. The story, for one, is unique and mine. It involves real people, world events and raw emotions. The artwork and printed book is very special and was my primary focus. Personally, I like the tangibility of a printed book, and I had always planned the Accidental Aid Worker paperback to be a beautifully produced memento—a piece of art—that would stand out in bookstores and libraries as well as on the digital bookshelves. The cover art features an original Tinga Tinga painting made into a puzzle, my hand and funky jewellery (most asked question—yes, it’s my hand). Those puzzle pieces are real, and if you buy a copy of the book directly from me, you receive the limited edition third reprint, a special bookmark with string blessed by a Hindu priest, and a numbered puzzle piece as a memento. You can read more about the artwork and production of the book. I printed a double-colour cover with the inside filled with beautiful photos, and a matte cello coating for the outside. It feels and looks like quality and people love and appreciate this. Using inside cover real estate is not industry standard and obviously added to my costs. The book is also 394 pages/148,000 words long. There is no way a publisher would agree or invest in a book like this for a first-timer. WARNING: answer contains shameless name dropping. As a first-time self-published author—a ‘newbie’—the icing has been recognition, appreciation and endorsement by industry professionals and respected community leaders and living legends. Tom Keneally and the Honourable Professor Dame Marie Bashir have endorsed and validated me and my precious book. Their comments are on the cover of the third reprint of the book, and Professor Bashir launched this edition. I am also proud to have fellow authors as authentic connections. I have hung out, chatted over email, talked intensely about the writing life, and played with the likes of Meg Keneally, Julian Burnside, Morris Gleitzman and Di Morrissey. I’ve even had a ‘moment’ with the luminous Gloria Steinem. In June 2016, the State Library of NSW requested I write a workshop on author brand and marketing, particularly for aspiring and self-published authors. The workshop was part of the Indyreads pilot—a new e-lending platform that will roll out through NSW libraries in the second half of 2018. I’ve presented this gutsy, innovative workshop via a few libraries, and it’s striking a chord with those trying to DIY and pitch to publishers. If I can help other authors to more confidently and successfully represent themselves and their work in the big world of books, that’s a win in MY books. Read more about the workshop and its creation. Being single, self-employed and with a huge Sydney mortgage, I find juggling the variables of resource (energy, inspiration, courage, emotional and financial) and weighing up the entirely subjective reward for effort, a continuing challenge. I’ve had to go back to PAYG work now, in order to live. Writing and publishing dreams will have to tick away in the spare hours. It has been an odyssey, scaling the multiple vertical learning curves and navigating the winding pathways of a constantly changing publishing and retail industry. Figuring out all that needs to be done is difficult, and it’s impossible to do it all well. Success and reward in its variety of forms (money, recognition, sales, kudos) eludes so many worthy artists. To finish a work is success in itself. To make a book that resonates and does commercially well in an overcrowded marketplace is nothing short of exceptional, and so few achieve that. Therefore, I’m happy with my very modest successes. In my workshop I introduce the importance of having dreams, plans, strategies and goals around your writing projects. As much as it’s important to aspire, it’s crucial to understand how to work toward making those dreams tangible and real. Regardless of whether you’re seeking a publishing contract or plan to self-publish, you need to be a business person and actively market and promote yourself as an author, and your books. You need to become ‘business minded and marketing savvy’. 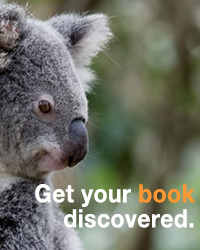 Start researching, exploring, networking and talking to other writers. Being part of a physical or online community of like-minded people will help you learn and be exposed challenges we all face. Work on your writing craft and aim to produce the most professional product possible. My current works in progress include: the sequel to Accidental Aid Worker, a book of travel adventures, and a series of books centred around my beloved cat, Moet. Next up is Moet’s memoir! I will not dig myself a hole by announcing any publication dates … yet! The third reprint (limited) edition of Accidental Aid Worker is available directly from the author at author talks, workshops or from the Accidental Aid Worker shop (book and e-book). The first print and second reprint edition are available at all good bookstores, online retailers and libraries. The print on demand version (with outside cover only) is available via Amazon.